In Alberta and across Canada, the private for-profit healthcare sector is being positioned as a solution to wait times and the financial challenges facing the health care system. Consequently, for-profit delivery of healthcare is increasing. The provincial and federal governments are also increasingly referring to public healthcare as a publicly funded health system, under the premise that it does not matter who delivers the services. This report explores the implications of this trend with regards to costs, wait-times and other issues associated with healthcare delivery. The Alberta government promised to provide a cost-benefit analysis to demonstrate to Albertans the value of utilizing for-profit service providers in the delivery of publicly funded health care.1 To date this has not been completed or published. This report provides some of the information necessary to do that cost-benefit analysis on the basis of information and data garnered through the Freedom of Information and Privacy (FOIP) request process. 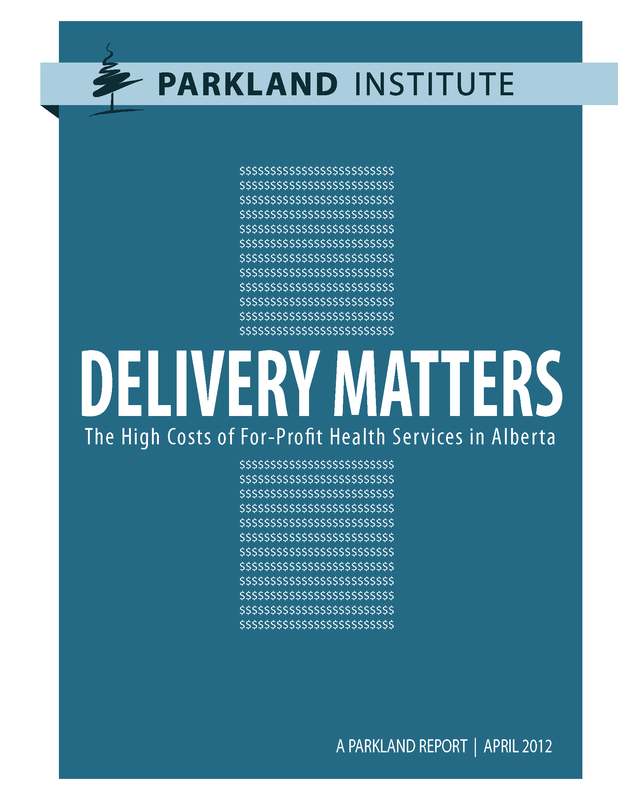 This report is the second in a new series by the Parkland Institute: Delivery Matters. The first report examined delivery of long-term and continuing care services and provided a solid body of evidence that quality is significantly poorer in investor-owned facilities. Similarly, this report explores the delivery of clinical services, specifically arthroplasty or total hip and knee replacements, through private, for-profit clinics. It includes a case study of Calgary’s Health Resources Centre (HRC) that specifically examines the cost, quality, access and other implications of expanding this form of provision and places it in the context of national and international research. It also examines a wait-list reduction pilot project, the Alberta Hip and Knee Replacement Project, which includes for-profit and not-for-profit providers, allowing for a comparison of the two models. The clear conclusion is that it matters who delivers clinical services. The spectacular fall from grace of HRC is a fascinating study in the ills of health care privatization, the risks to patient care, and the need to reiterate the importance of our publicly financed and delivered health care system. The case study of HRC is very consistent with international studies, validating the conclusion that for-profit incursions into the health care system are risky, costly and lack the accountability Canadians expect, demand and deserve. The findings of this report are that HRC clearly cost more on a per surgery basis than public alternatives. The report also finds that the wait time gains were despite not because of the for-profit nature of HRC. The success of the public partners in the pilot project on wait-time reductions in Alberta clearly shows that public solutions can achieve the same wait-list targets at less cost and much less risk to the public.